DOWNLOAD THE LAUNCH REPORT HERE. The high-performing, high-disparity Bay Area is a cautionary tale showing that a rising tide does not lift all boats. The low-performing Central Valley shows that sometimes racial disparities are low because all residents are deprived, highlighting the need for broad coalitions that prioritize equity. The stakes for people of color in the gigantic Los Angeles County are especially high, given its size and its high disparities on indicators such as incarceration rates. 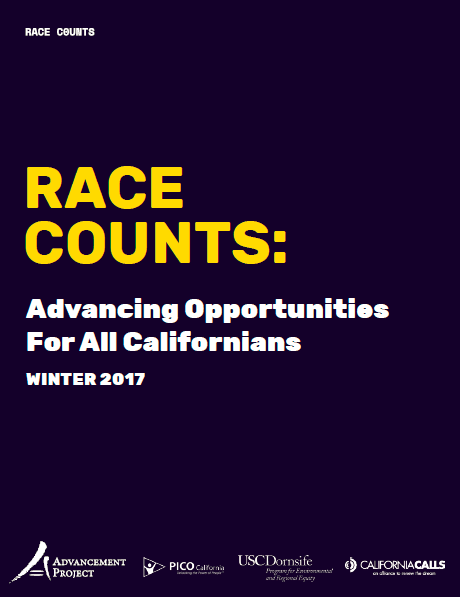 Through intentional coalition-building, customized, local data, and taking on the key drivers of racial disparity, we have the opportunity to make sure the California we pass down is fairer, better, and stronger than the one we were given.